If you are looking for fashion photographers in Delhi to get your portfolio done or to get a photoshoot done for print ad or catalogue shoot or website then you have reached the right place. NIMs advertising has the best of Delhi’s fashion photographers from the fashion industry who understand the current trend, style and format as required by clients or models. Our top fashion photographers have shot top Indian models and have done advertising campaigns for leading Indian and International fashion brands. Most of our shoots are done using high end digital cameras and latest photography equipment. The photo studios of our fashion photographers are well equipped with various fashionable and funky backdrops, props and other fashion accessories. Our fashion photographers based in Delhi provide both indoor as well as on location / outdoor shoots as per the requirement of the client. Apart from providing the best of photography services, we arrange designer costumes by hiring them from fashion designers. We have fashion stylists and professional model makeup and hair stylists to comprehend the fashion photography services. In case you wish to hire our fashion photographers for any photoshoot please leave a message below. Models can check our portfolio charges here. Answer for spam protection. What is three + 2 = ? 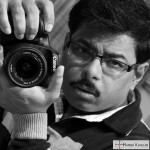 I think this is the best place to find fashion photographer in Delhi. They have tieups with various top fashion photographers in Delhi and provide portfolios at great discount. Thanks Amit. We are always here to help the aspiring models and try our best that our fashion photographers do the best portfolio. Hi Aryan pls get in touch with us at 011 22712222 and we can get you the best fashion photographer to do your portfolio.